Students, faculty, staff, and departments communicating about University of Washington sustainability events, projects, programs, research, achievements, and more now have a brand to tie it all together. On this page you'll find examples of the University of Washington Sustainability Brand, with resources and guidelines to begin using the brand for your group's communications about campus sustainability efforts. This brand is primarily used by UW Sustainability, but the visual templates are available to any UW department or unit for sustainability-themed messaging. Use of the Sustainability Brand should fit within the larger UW's brand. Use of the Boundless W and other UW brand elements should follow all guidelines provided by UW Marketing. 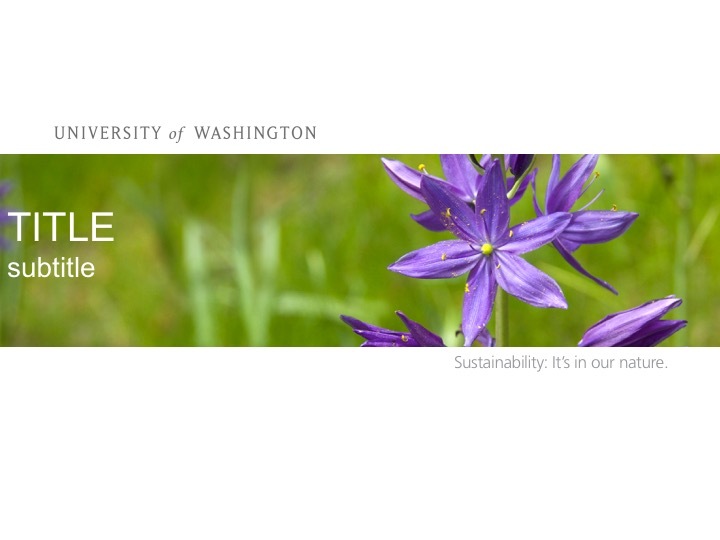 The tagline "Sustainability: it's in our nature" reinforces the University of Washington's strong commitment to sustainability, and can be used in conjunction with the camas flower visual elements. 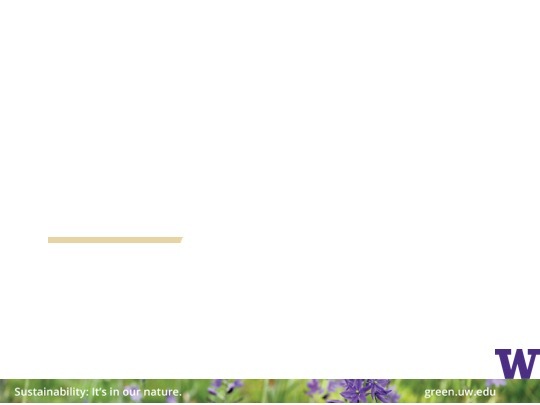 UW Sustainability uses the distinctive purple-and-gold flowers of the camas as a symbol of the University of Washington’s commitment to sustainability. Camas is a native wildflower found in prairies and meadows throughout Washington state. Camas was historically - and continues to be - an important traditional food source for tribes throughout the Pacific Northwest. Camas can be found on the Seattle campus each spring near wǝɫǝbʔaltxʷ – Intellectual House. We have included several camas images that can be included in your designs, as well as templates for letters, posters and presentations. We also have an extensive collection of camas photos available for use on our Flickr account. View the album of camas images on Flickr. Many of these templates are also available in other filetypes, such as Adobe Illustrator. 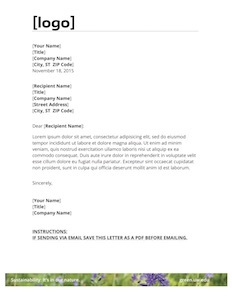 Contact us for other versions of the template or any other needed design elements. See some examples of the sustainablity brand usage on our Posters & Infographics page.